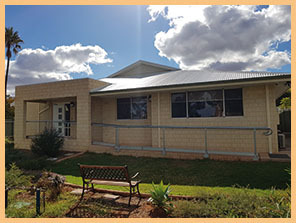 The Mission of Goldfields Rehabilitation Services Inc. is to provide a holistic and supervised Residential Rehabilition Treatement Service that is an alcohol and other drug free environment for residents over the age of 18 years who have been affected by alcohol and or other drug dependency. To also provide a service to clients who have been affected by sexual violence and cannabis issues. More information on these services can be found by navigating the menu options to the left. All referrals and enquires are treated with respect and the strictest confidentiality at all times. This site has useful information on our services for individuals seeking to improve their lives, for their families and for agencies wanting to help them make the necessary changes. Please feel free to contact us to find out more. All discussions are strictly confidential.